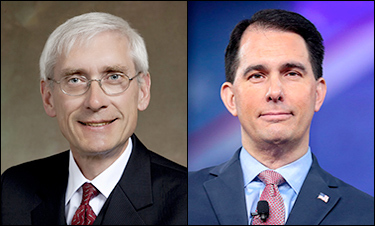 Sept. 15, 2018 — Two succeeding polls were just released with one showing Wisconsin Gov. Scott Walker (R) barely leading in his fight for a third term, while another predicts he will be blown out. Yet, the two seemingly contradictory polls both find an almost identical Senate race status. NBC News/Marist College went into the field during the period of Sept. 30-Oct. 3 (943 Wisconsin adults; 781 registered Wisconsin voters; 571 likely voters) and found Democratic superintendent of public instruction, Tony Evers, leading Gov. Walker by a whopping 53-43 pecent among the likeliest of voters (52-43 percent within the registered voter segment). But, Marquette University Law School, a prolific Wisconsin pollster since the 2012 election cycle, actually finds the governor clinging to a one-point, 47-46 percent edge in their just-released survey (Oct. 3-7; 1,000 registered Wisconsin voters; 799 likely voters). 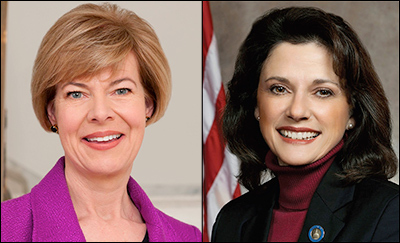 While the two pollsters are far apart in how they see the governor’s race, they are very consistent in projecting the US Senate contest between first-term incumbent Sen. Tammy Baldwin (D) and state Sen. Leah Vukmir (R-Brookfield). NBC/Marist gives Sen. Baldwin a 54-40 percent advantage within their likely voters cell, while Marquette finds a similar 53-42 percent spread. A simple explanation suggests that the governor’s race is quite volatile while the Senate campaign is virtually decided. The two polls were run consecutively with NBC/Marist ending on Oct. 3 and Marquette beginning on that day. Obviously, this means the Marquette data is the most recent. The Marquette sampling universe looks to be the stronger, as both the registered and likely voter cells are larger than NBC/Marist’s. Additionally, since Marquette exclusively polls the Wisconsin electorate and does so on what appears to be a quarterly basis but more frequently when closer to an election, their knowledge of the voter base is likely superior to NBC/Marist, which is a national pollster. Therefore, the greater local knowledge likely provides them a superior ability to better pull a reflective sample. Oct. 7, 2015 — New Hampshire Gov. Maggie Hassan (D) announced Monday that she will challenge Sen. Kelly Ayotte (R) next year. Rumors abounded since the time Hassan was re-elected to a second two-year term that she would in fact make the move to the Senate race. Recently, however, it appeared that the chances of her giving up the governorship in order to challenge the Republican incumbent were becoming lesser. So, the announcement came as a mild surprise. 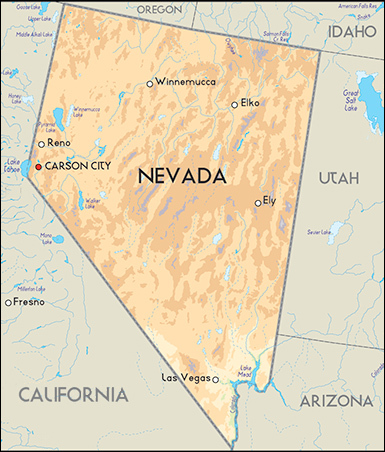 The move increases the Democrats’ chances of re-taking the Senate because they put another state in play. This is clearly now a toss-up race, featuring two veteran statewide candidates in the most unpredictable of political states. No place has defeated more federal incumbents since 2006 than New Hampshire. Beginning with Jeanne Shaheen’s (D) victory over then-Sen. John E. Sununu (R) nine years ago, the electorate has subsequently unseated six congressional incumbents while only re-electing three during this five-election period. The New Hampshire political tides have also been strong. Except for the governor’s office, which has remained primarily in Democratic hands, the state has swept out the entire slate of both party office holders almost routinely in the past 10 years. A new NBC News/Marist College poll provides some dire news for Republican Sen. Pat Roberts. Everyone knows the senator is enduring a rough election cycle, largely because of the rancorous Kansas political climate, a large number of the senator’s own unforced errors, and a shrewd coalition move between local Democrats and Independents. But this particular poll (released Oct. 6; 1,282 Kansas residents; 1,097 registered Kansas voters; 636 likely Kansas voters) places Roberts in his largest deficit situation of the campaign. 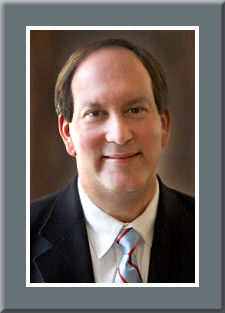 According to the data, Roberts trails Independent Greg Orman 38-48 percent among those in the likely voter category, and 36-46 percent within the registered voter segment. NBC/Marist has been among the more inaccurate pollsters in past election cycles, so their sounding the political death knell for a candidate is not necessarily taken as a sign of things to come, but this particular survey should be given greater credence.